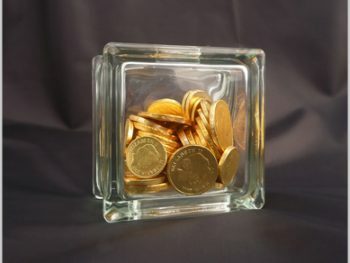 Nothing says money better than a glass money box full of coins emblazoned with a gold dollar sign. 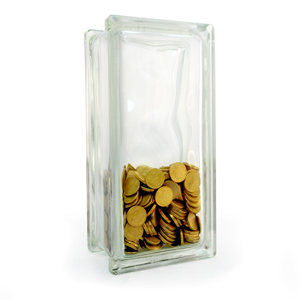 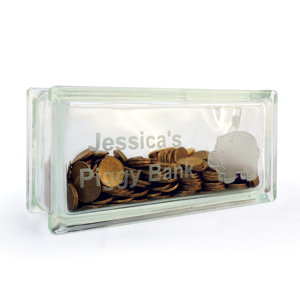 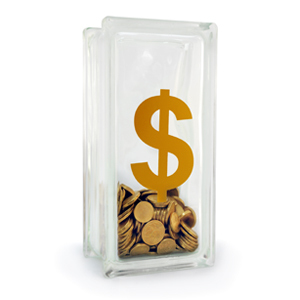 Watch your money grow in this tall glass block money box. 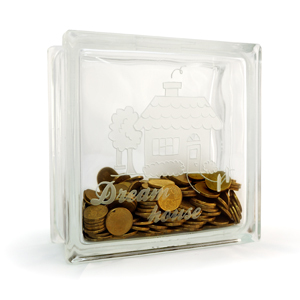 Or give it as a gift to a friend or family member to help them save their money for a rainy day.